← Trump the Neocon/ KochServative? 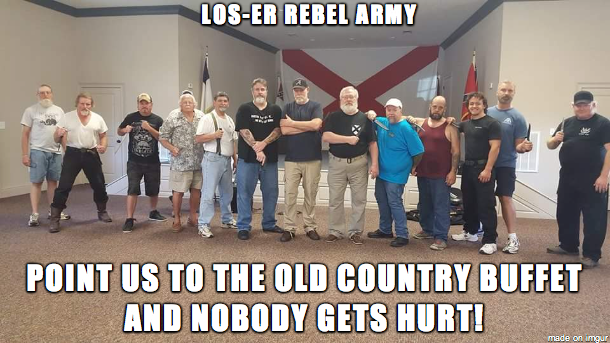 The LOSers mean SRS BZNZ! They are Seceding with FORCE…to the Buffet! Uh OH! Look OUT! Here they come and they haz pointy things!